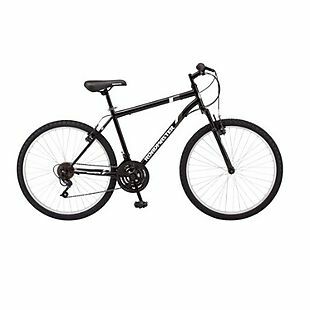 The pictured men's 26" Roadmaster Granite Peak Mountain Bike drops from $98 to $78 at Walmart.com. It is also available in this 26" women's version, 24" boys' version, and 24" girls' version at the same price. Shipping is free. This is the best price we found for this bike by $20. Choose from multiple colors. Sales tax is charged in most states. Get this Straight Talk Prepaid Apple iPhone 6s 32GB 4G LTE or from Total Wireless for $149.99 at Walmart.com. Shipping is free. This is over $100 less than elsewhere. 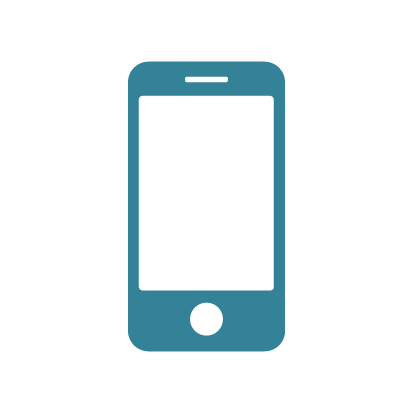 This phone is locked with Straight Talk, so you can buy prepaid minutes to use the phone, with plan prices starting at $35 per month for Straight talk and $23 for Total Wireless. Sales tax is charged in most states. 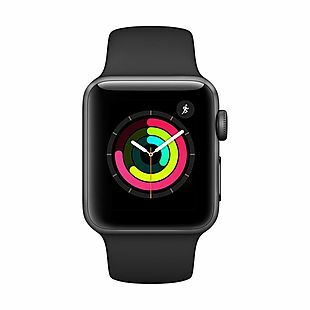 The 38mm Apple Watch Series 3 drops from $279.99 to $199 with free shipping at Walmart.com. This is the best price we found for one by $60. The 42mm watch is also on sale and drops from $309 to $229, which is the best price we found by $70. Sales tax is charged in most states. 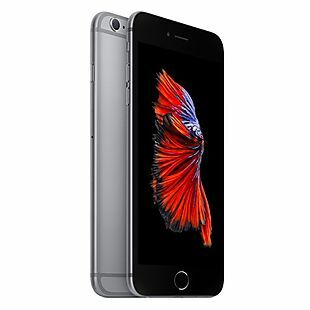 Get this Straight Talk Prepaid Apple iPhone 6s Plus 32GB 4G LTE for $199.99 at Walmart.com. Shipping is free. That's the best price anywhere for this model. This phone is locked with Straight Talk, so you can buy prepaid minutes to use the phone, with plan prices starting at $35 per month. Sales tax is charged in most states. 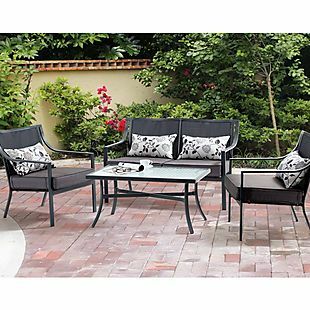 This 4-Piece Mainstays Alexandra Conversation Set drops from $299 to $239 at Walmart.com. Plus shipping is free. All other sites are charging over $260 for this set, except for Jet where the price is matched. It comes with a loveseat, two chairs, a coffee table with a tempered-glass top, cushions, and four lumbar pillows. Sales tax is charged in most states. 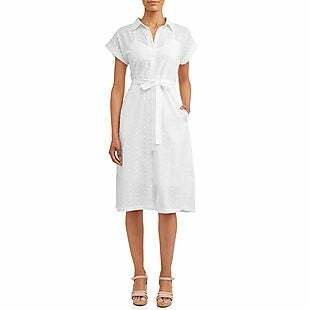 This Time & Tru Midi Shirt Dress is $24.88 and these Time & Tru Wedge Sandals are $19.88 at Walmart.com. Add both to your cart and you'll get free shipping. Similar dresses are around $40 even without the shoes, and buying them together saves you $6 in shipping fees. These items have been featured on YouTube and Instagram by fashion bloggers. You can also choose the Ruffle Wedge Sandals. Sales tax is charged in most states. 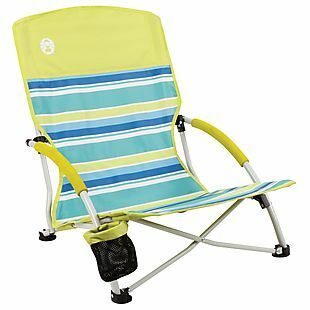 This Coleman Utopia Breeze Beach Sling Chair drops from $59.99 to $26.99 at Walmart.com. Plus shipping is free. Amazon has matched the price, otherwise it's at least $40 elsewhere. It has a steel frame and cup holder. Spend $35 to get free shipping, otherwise it adds $5.99. You can also check your zip code for free store pickup. Sales tax is charged in most states. 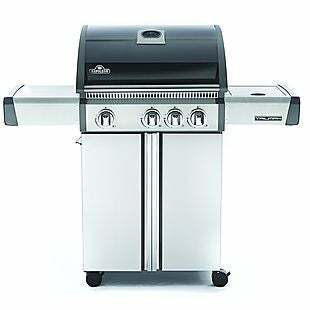 This Napoleon Triumph 410 Grill drops from $629.99 to $429.99 at Walmart.com. Plus shipping is free. Napoleon grills are considered high-end grills with comparable specs to Weber grills (if you research grill brands, you'll find articles like this). This grill is $550 everywhere else (see here and here), and a three-burner Weber Genesis grill with similar specs is $699. This one has 410 sq.ft of cooking space on the main burners and comes with a free $65 grill cover. Sales tax is charged in most states. 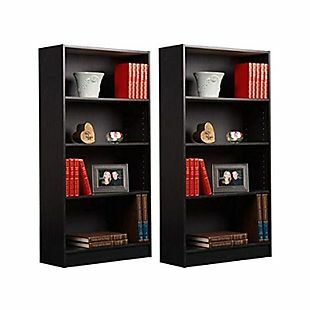 Get this Set of 2 Orion 4-Shelf Bookcases priced for $47 at Walmart.com. Plus shipping is free. That's less than $24 per unit, and it's the lowest final price we found by $8. The bookcases come with four adjustable shelves and measure approximately 25" x 9.5" x 48". They are available in the colors Black and Oak. Sales tax is charged in most states. 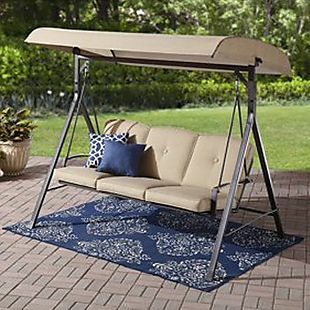 This Mainstays Porch Swing drops from $222.78 to $160 at Walmart.com. Shipping is free. This is the lowest price we could find by about $20. Choose from three colors. Sales tax is charged in most states. 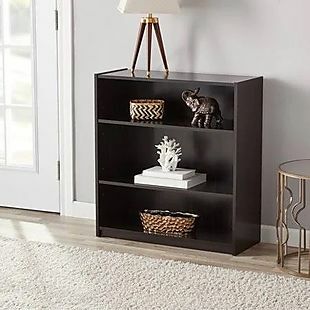 This Mainstays 31" 3-Shelf Standard Bookcase drops from $18.47 to $14.47 in two out of five colors at Walmart.com. Shipping adds $5.99, or it's free with a $35 purchase or when you pick up in store. This is the lowest price we found for this by $16. This features one fixed and two adjustable shelves. Three additional colors are available for $4 more. Sales tax is charged in most states. 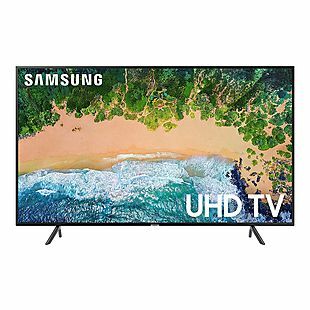 This Samsung 58" 4K HDR Smart TV (model UN58NU7100) drops to $494.99 after you add it to the cart at Walmart.com. One store has it for $6 less, but charged $75 for shipping, otherwise it's the best price we found by $80. This supports content up to 4K Ultra HD, as well as HDR. It has built-in WiFi for streaming entertainment. Sales tax is charged in most states. 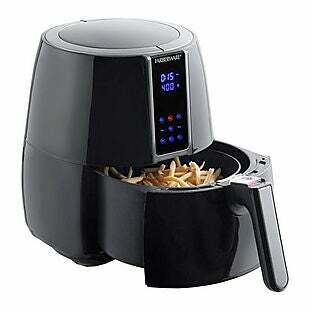 Get this Farberware 3.2-Quart Digital Oil-Less Fryer for $38 with free shipping at Walmart.com. Comparable models around $10 more. It features eight programmed cooking options and uses little to no oil in order to cook food. Sales tax is charged in most states. Get this Mainstays 70" Leaning Ladder Bookshelf on sale from $59.99 to $49 at Walmart.com. Shipping is free. 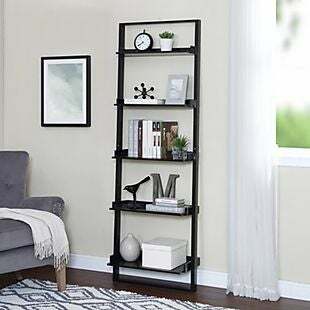 We found comparable 70" ladder bookshelves priced for $9 more at other retailers. Each of the five shelves gets larger down the ladder. It's also designed to screw into the wall to anchor for better support. Sales tax is charged in most states. 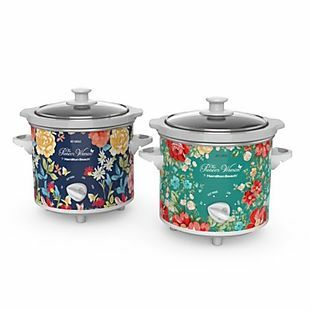 This set of two 1.5-Quart Pioneer Woman Slow Cookers falls from $44.99 to $22.99 at Walmart.com. Shipping is free on orders over $35, so we suggest adding one of these other Pioneer Woman Kitchen Electrics to your cart to reach that threshold. Otherwise shipping adds $5.99. Even with shipping fees, that's less than $15 per cooker and the best price we found by $4. These scored an average of 4.6 out of 5 stars from 99 reviewers. Sales tax is charged in most states. 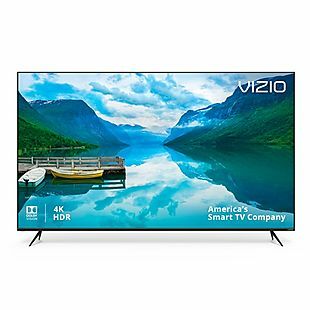 Get this Vizio 50" 4K HDR Smart TV (model D50x-G9) for $298 with free shipping at Walmart.com. Only Walmart's other store Jet was able to match this price, but they did not offer two-day shipping. This displays content in up to 4K Ultra HD resolution, supports HDR, and has built-in WiFi for streaming content from the web. Sales tax is charged in most states. Get this RCA 55" 4K TV (model RTU5540) for $289.99 with free shipping at Walmart.com. Only Walmart's sister store, Jet, match this price. 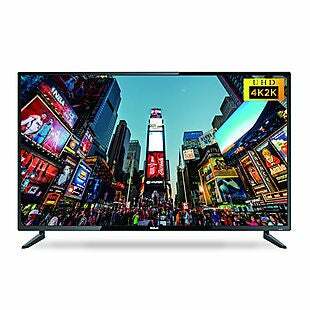 This TV can display content in up to 4K Ultra HD resolution. This is not a smart TV, but adding a device such as an Amazon Fire TV Stick, Google Chromecast, Roku, or Apple TV is all you need to achieve the same functionality. Sales tax is charged in most states. 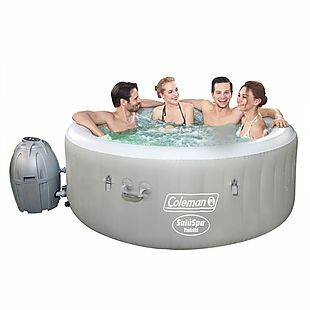 This Coleman SaluSpa Inflatable Hot Tub drops from $387 to $297 at Walmart.com. Plus shipping is free. This is the lowest price we found on this model by $83, and the only one of its type that we could find for less than $300 shipped. It has 81 air jets and is designed to fit four people. Sales tax is charged in most states. 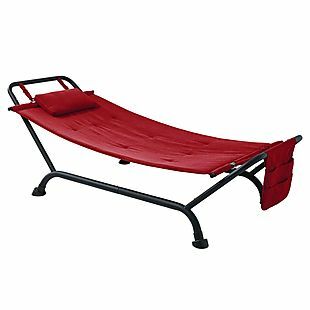 This Mainstays Belden Park Hammock with Stand drops from $99.98 to $65 at Walmart.com. Plus shipping is free. This is the lowest price we found, and most retailers are charging at least $20 more. Compare at Amazon.com. This hammock features a rust-resistant steel frame, a matching pillow, and a hanging pocket to hold books or devices. Choose from four colors. Sales tax is charged in most states. 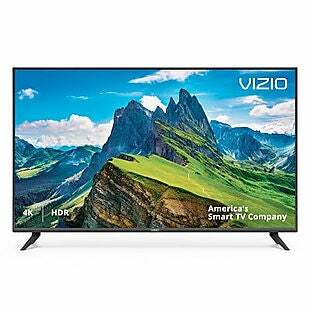 Get this Vizio 65" 4K HDR Smart TV (model M65-F0) for $649.99 with free shipping from Walmart.com. This was the best price we found by $173. This displays 4K content, supports HDR, and has built-in Chromecast for streaming entertainment. Sales tax is charged in most states. 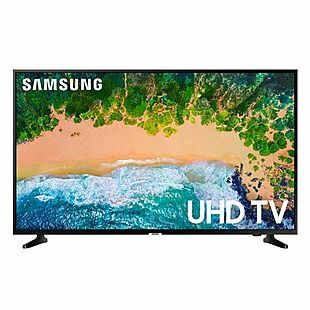 This Samsung 58" 4K Smart TV (model UN58MU6070) drops to $448 after you add it to the cart at Walmart.com. Shipping is free. This is the best price we found on this model by $51. This TV displays content with 4K Ultra HD resolution, supports HDR, and has built-in WiFi for streaming content from the web. Sales tax is charged in most states. 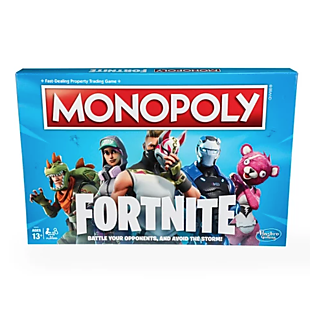 Get Monopoly Fortnite at Walmart.com which drops from $19.99 to $7. Shipping is free at $35, or it adds $5.99 otherwise. This beats our lowest previous mention on this popular board game by $9. Sales tax is charged in most states. 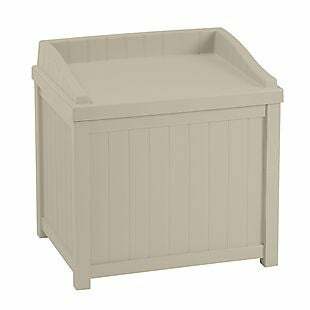 This Suncast 22-Gallon Deck Storage Box Seat, originally listed at $58, drops to $35 at Walmart.com. Plus two-day shipping is free. All other sites are charging $39-$50. Over 400 Walmart reviewers rated this deck box for an average of 4.7 out of 5 stars. It is made of resin and measures 22.5" x 17.5" x 22.75". Sales tax is charged in most states. 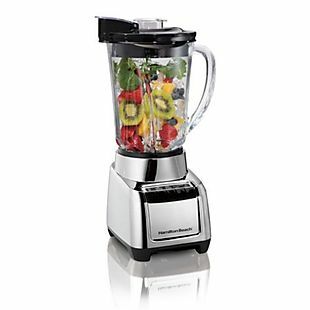 This Hamilton Beach Wave-Action Blender drops from $32.96 to $14.96 at Walmart.com. Shipping adds $5.99, or it's free on orders over $35. Even with shipping fees, that beats our previous mention by $4. It features a 700-watt motor, 48-ounce glass jar, and a lid with a pour spout. Sales tax is charged in most states. 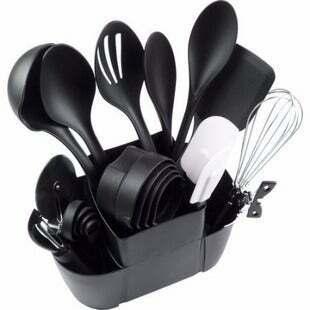 This Mainstays 21-Piece Kitchen Utensils Set is now $9.97 at Walmart.com. Shipping adds $5.99 or is free with a $35 purchase. You can also pick up in store for free, if available in your area. This is the best price we found based on a similar set. Even with shipping fees, this comes to only $0.76 per piece! It includes stainless steel, nylon, plastic, and rubber utensils with a caddy. Sales tax is charged in most states. 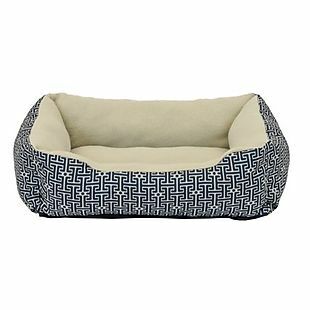 These Vibrant Life 19" Rectangle Cuddler Pet Beds are $5.47 at Walmart.com. You can pick these up in-store or spend $35 to get free shipping. Otherwise shipping adds $5.99. Typically, similar beds are on sale for $10-$15 more. When you order this bed, you will receive one of three colors, randomly chosen. Sales tax is charged in most states. 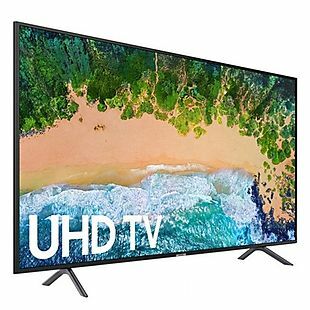 This Samsung 50" 4K Smart TV (model UN50NU7100) drops from $749.99 to $379.99 when you add it to your cart at Walmart.com. Shipping is free. This is the best price we found for one by $32. This TV has a 60Hz refresh rate, built-in WiFi, and a 4K display that's compatible with HDR content. Sales tax is charged in most states. 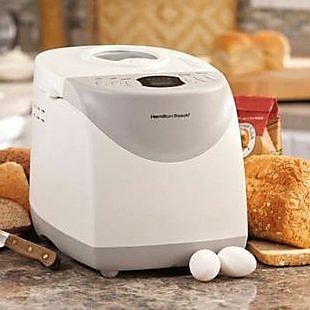 This Hamilton Beach HomeBaker 2-Pound Automatic Bread Maker drops from $69.99 to $41.99 at Walmart.com. Plus shipping is free. This ties with the lowest price we've seen this year. This bread maker is highly reviewed, receiving an average rating of 4.5 out of 5 stars from over 1,900 Walmart reviewers! It features two loaf sizes and 12 different cycles including a gluten-free setting. It comes with a nonstick pan, two kneading paddles, and a recipe book. Sales tax is charged in most states. This Backyard Discovery Tucson Cedar Wood Swing Set drops from $499 to $359 at Walmart.com. This exact set set is sold for $549 elsewhere. 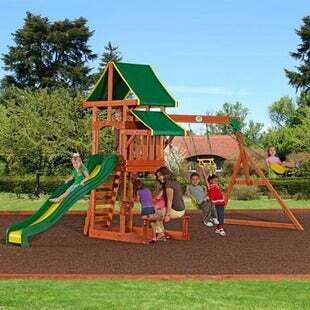 It features a covered play deck, 8' slide, 2 swings, trapeze bar, picnic/activity table, and rock wall. Order for free pickup at your local store, otherwise shipping to your home adds $99.99. Sales tax is charged in most states. 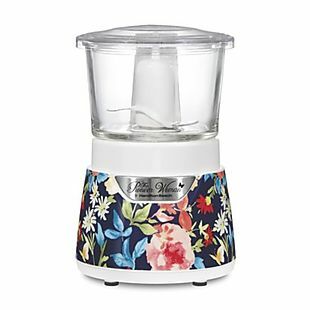 This Pioneer Woman 3-Cup Stack & Press Chopper falls from $39.96 to $19.88 at Walmart.com. Shipping adds $5.99, or it's free on orders over $35. Even with shipping fees, the next-best price we found was $8 more. It features a three-cup glass bowl and stainless steel blades for chopping. It's dishwasher safe. Check out these other Pioneer Woman items on sale to score more deals. Sales tax is charged in most states. There are lots of ways to save when you shop at Walmart. Online orders over $50 ship for free, and Walmart also offers free in-store pickup. 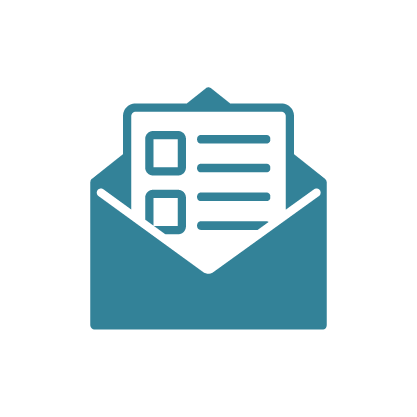 Just order what you want from the comfort of your own home and pick it up from your local store at your own convenience. Frequent Walmart shoppers can save even more when they apply for a Walmart credit card. There's no annual fee, and credit card users get $5 back for every $500 spent on the card, save 15 cents per gallon of gas at participating Walmart gas stations and get a $25 gift just for signing up. Save big this Black Friday by finding some of the best Walmart deals of the year in the Walmart Black Friday Ad.